Sally Hernandez speaks at her Oath of Office ceremony at the Travis County Commissioners Court. So, what is this new policy from Sheriff Sally Hernandez, anyway? She has directed deputies and staff of the Travis County Sheriff’s Department to not honor most warrantless requests from the U.S. Immigration and Customs Enforcement (ICE) to extend the detention of people booked into the local jail. If there’s no warrant, the sheriff’s policy agrees to detain only those charged with murder, aggravated sexual assault or human smuggling. Within days of making her policy public, Hernandez became the target of condemnation from Abbott, who argued her policy is a threat to public safety. Hernandez contends her policy fosters trust between community members and local law enforcement. 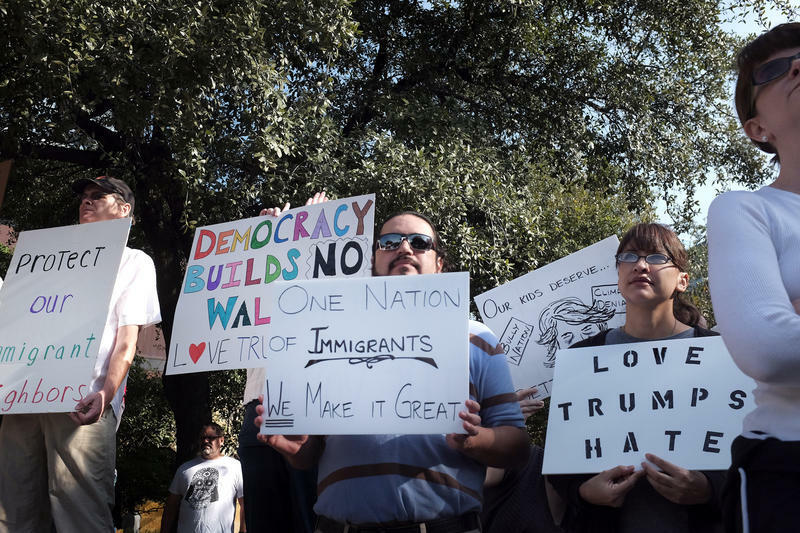 She told KUT’s Nathan Bernier last week that, without the new policy, victims or witnesses of crimes may not call police to report crimes because of fear of deportation. 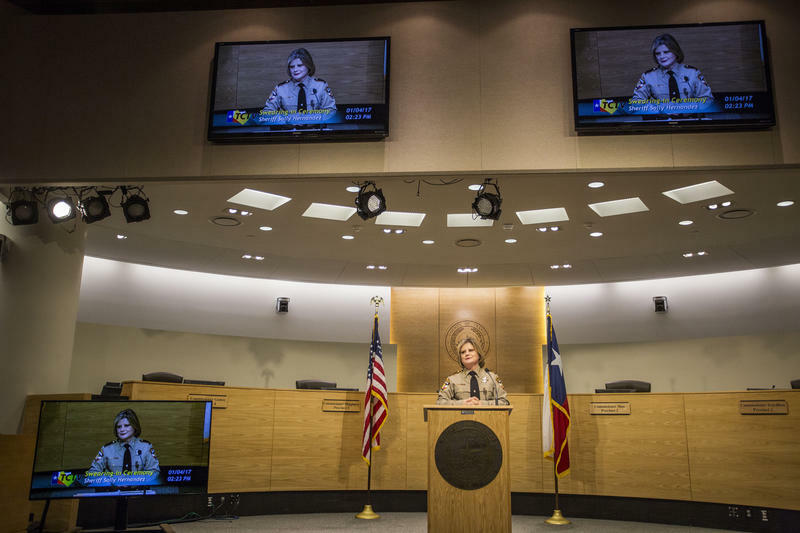 Travis County Judge Sarah Eckhardt responds to media regarding Gov. 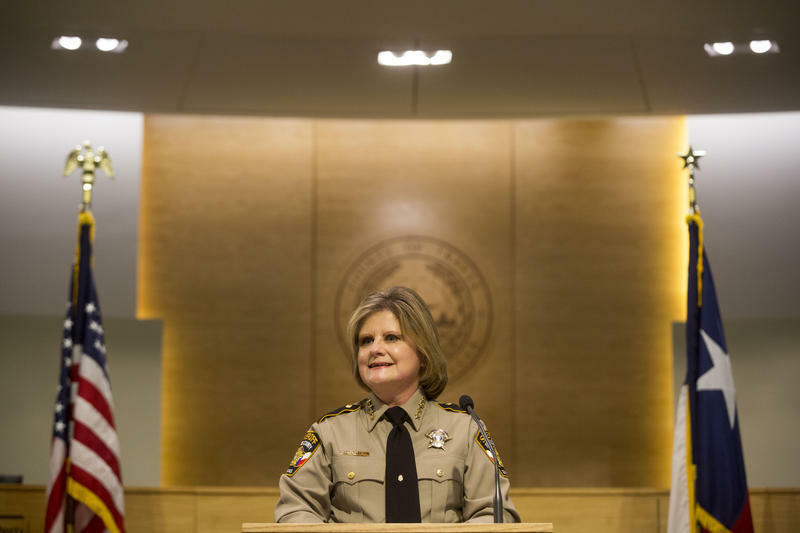 Abbott's funding cuts to Travis County over the so-called "sanctuary" policy of Sheriff Sally Hernandez. 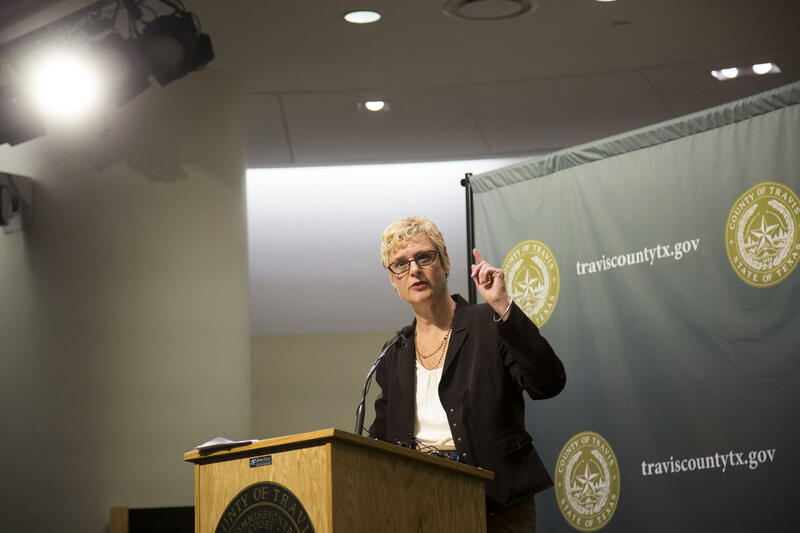 At an event this afternoon, Travis County Judge Sarah Eckhardt said the cuts were "retribution" for the policy and said she'd like to see the funding restored. "We want that revenue back – not for selfish purposes" Eckhardt said. "We want that revenue back to do the state's work." Last week, Abbott also directed his office’s budget director to account for all funds – state and federal – allocated to the county through the governor’s office. A bill that's up at the state Legislature could also codify that policy going forward. Senate Bill 4 would cut state grants to local jurisdictions that do not honor all ICE detainer requests. The first public hearing on that bill is tomorrow morning at the Capitol. 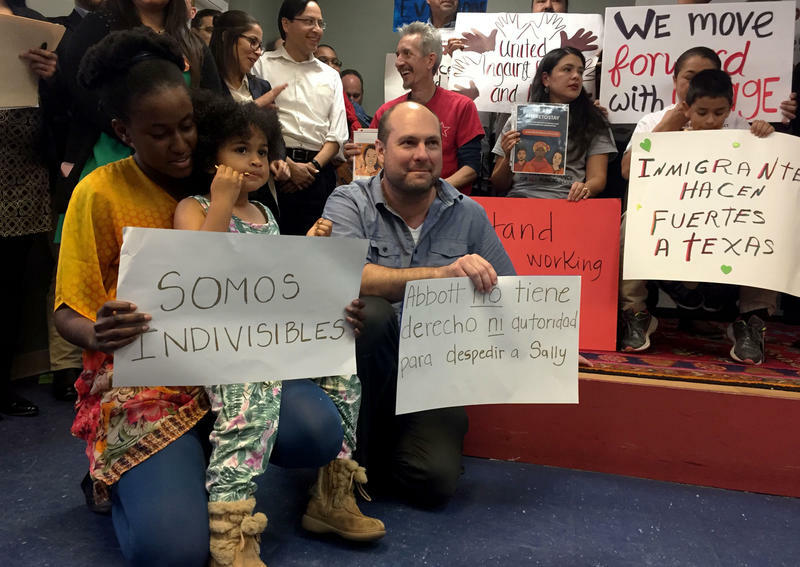 In yesterday’s State of the State address, Abbott said passing a sanctuary city bill is one of his top priorities. Thousands are protesting President Donald Trump’s executive order banning refugees from seven predominately Muslim countries. 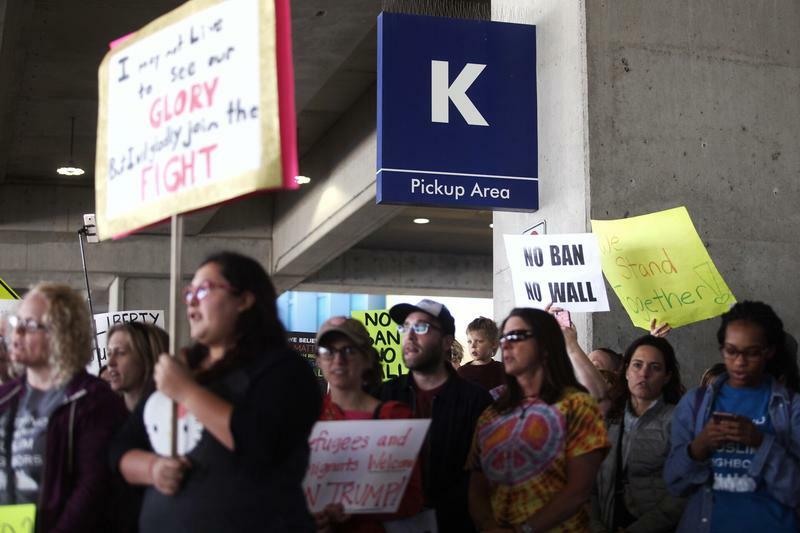 While federal judges have temporarily stayed parts of that order across the country, notably a provision that would deport some refugees detained at airports, demonstrators have staged protests at airports across the country, including at Austin Bergstrom International Airport. 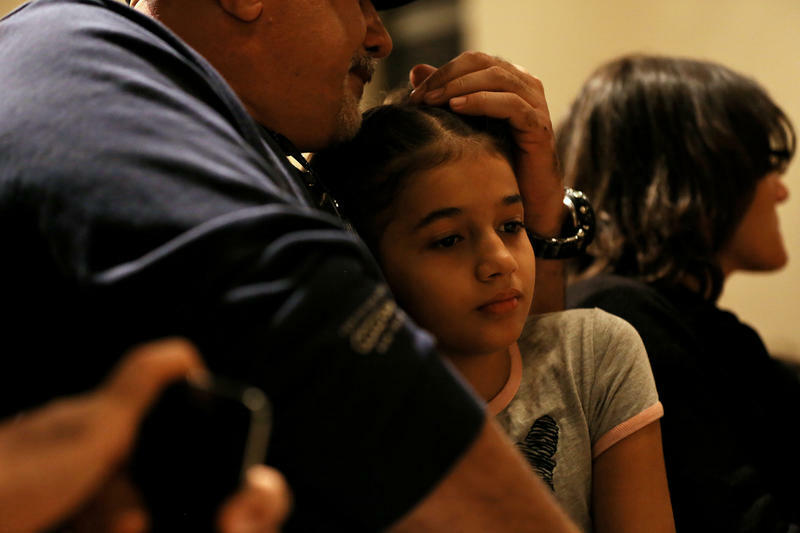 Faith groups and supporters of the refugee community gathered at a church near UT-Austin’s campus last night in solidarity with refugees already resettled in Texas following President Donald Trump’s executive order banning refugees from predominately Muslim countries. 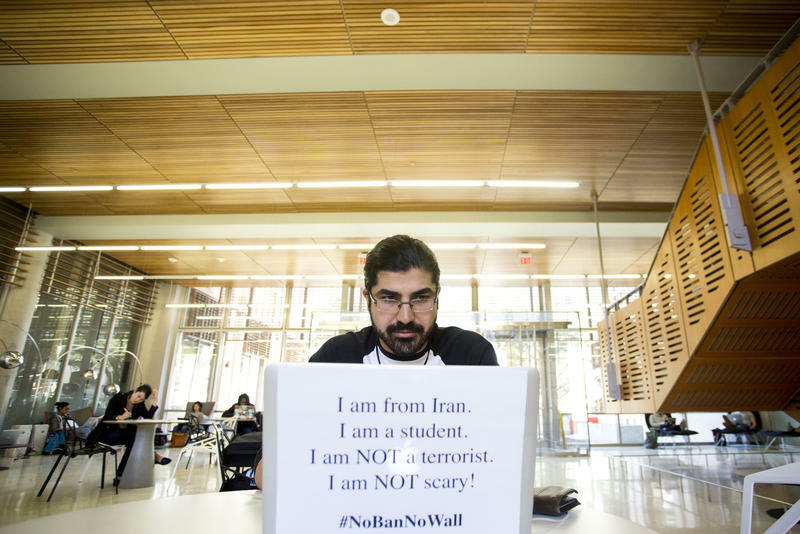 In his letter to faculty and students Sunday, University of Texas at Austin President Greg Fenves addressed President Donald Trump’s recent executive order temporarily closing the county to immigrants from seven Muslim-majority nations.